Owing of our extremely talented team of professionals, we are engaged in offering excellent quality Metal Perforated Sheets For Pharmaceutical Industry. The offered perforated sheet is used in engineering, architecture, food processing, nuclear power and petrochemical industries as decorative banisters. Under the astute guidance of our quality inspectors, we are manufacturing extensive variety of sheets for our clients. This perforated sheet is ideal for sieving, filtration, cleaning, separating and drying applications. 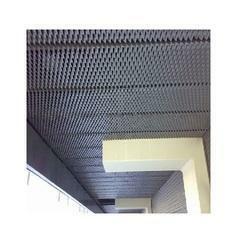 Looking for Metal Perforated Sheets for Pharmaceutical Industry ?